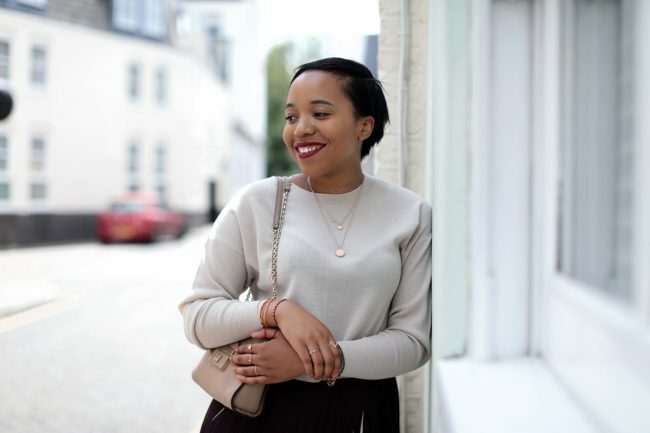 From one girl boss to another meet Naomi Mdudu, founder and editor of The Lifestyle Edit – the ultimate online resource for creative creative, entrepreneurial women. I met Naomi earlier this year when she interviewed me for her website and we’ve been talking ever since about teaming up for a supper club at Social Pantry Café. We’re excited to announce that our first event is next Thursday 24th (find the deets here) and we can’t wait for you to join us for an evening of delicious food surrounded by inspiring, supportive and likeminded women. I shifted the focus back to Naomi to find out what inspires her and why being a girl boss is so brilliantly empowering. What was your initial inspiration to start The Lifestyle Edit? The Lifestyle Edit was born because I wanted to create a platform that first, celebrated the incredibly dynamic female founders and executives that make things happen behind the scenes at the many of the businesses we all know and love. But more importantly, I wanted to create a space where these women could talk candidly about the journeys and share actionable advice that readers could take away and immediately action in their lives. Looking back, entrepreneurship was always on the cards for me but when I decided to take the leap, there was nowhere for me to turn. At the time there were fantastic resources for women in the fashion realm – but when it came to unpacking the careers of prominent women and talking in-depth about the factors that have influenced their life choices – I couldn’t find anything out there. I wanted to know how these women navigated the professional realm but I also wanted to know how their approach to wellness and both physical and mental health feeds into that. I wanted to read stories that were honest and that reflect some of my life experiences. Starting a business is scary and it can often feel isolating. The Lifestyle Edit was always designed to circumvent that by creating a community of women going through the same journey but from a wide range of different life stages, all rooting and supporting one another. It’s funny because we’re often called a modern self-help destination but we’re not about being preachy. Our mission is to use these stories as a vehicle to share different lessons women have learnt along the way. The Lifestyle Edit is well known for featuring influential, empowering women – where do YOU find inspiration from for new features and prokects? The inspiring thing is that today, you really don’t need to look far. It’s a really exciting time to be a working woman: support networks are growing, women are taking visible leadership positions around the world and there’s a general spirit of empowerment and support amongst women that’s really inspiring. Hopefully, that will continue to grow and evolve into real change for women everywhere in the coming years. I’m certainly going to try and do my part. What is the biggest challenge you have faced since starting your business? Switching off is definitely a challenge as a business owner. To-do-lists are never completed – there’s always something you could be doing and there is never enough time in the day. I really began to make a shift in my business when I started becoming clear on distinguishing between ‘must haves’ and ‘nice to haves’. I started honing in the jobs that I was uniquely positioned to do, and built a team around everything else. The most rewarding thing is without doubt seeing members of our community use the tools we provide to strike out on their own and create a life and business they love on their own terms. That, and being able to be part of their journey never gets old. The great thing about my job is that it encompasses so many different areas. First and foremost, I’m the editor of our digital publication, The Lifestyle Edit, where I produce all of our features and interviews. Under The Lifestyle Edit umbrella is our consultancy business, TLE Studio where I also work with small to medium sized business on multi-channel content and social media strategies, as well as photography, styling, marketing and influencer initiatives and brand partnerships too. We also host regular meet ups and events for our community and recently launched a virtual one-on-one mentoring service so no day is ever the same. More than anything, I love the fact I’m fortunate enough to create entirely on my own terms. Nothing compares to that. You travel a lot with your job, how do you find the balance between work and home life? I don’t think balance exists. What I think is most important is to evaluate what’s most important in your life and set up non-negotiables. Some people pride themselves on how much little sleep they get. Not me. I need sleep. I need to work out regularly, I need to eat well and I need time with the people I love. Otherwise I’m running on no energy, don’t feel inspired and just can’t do my job well. I also need time to feel inspired, to meet people, to focus on the big picture stuff so I’m not trapped doing the motions every day. For me, those are non-negotiables so I schedule them into my week in the same way I would a work appointment and that’s true whether I’m in London or New York. What are your future goals for The Lifestyle Edit? I am type A control-freak, future-orientated person by nature and am always planning what’s next. But I’m learning that flexibility isn’t a bad thing. There are so many things I want us to do but I’ve learned to loosen my grip a little and follow what feels right intuitively as opportunities present themselves. I’m a huge reader (I go through about two a week at the least!) so you’ll find me huddled up on the sofa, wine in hand, Kindle in the other. Talk us through your day in food: do you have time for breakfast in the morning? What is your favourite meal? Breakfast is probably one of my favourite meals of the day. I just can’t go without it. I usually start with a green juice first thing, which is usually at around 5.30am, as I’m a serious early bird. I usually have wild cut oats with blueberries or bananas with coconut milk by around 9am. Lunch is usually a kale salad with a side of sweet potato and I’m a sucker for roasts for dinner on the weekend of nice and easy stir fry during the week. NYC: Bluestone Lane, Jack’s Wife Freda, Sweet Chick in the East Village, Buvette, Via Carota (best Italian in the city) and Barbuto. You can probably find me in Barbuto at least twice a week. It’s my favourite spot in the city, especially in the summer. I’m so rarely in London these days, I’m so out of the loop! If we came over for dinner, what sort of food would you serve? Balsamic Vinegar and Olive Oil because everything tastes better with it.